Garage Door Repair Sandy, UT | Professional Repairs, Replacements and More! Offering safe and professional broken springs replacement, opener installation, and more! Our team specializes in providing local homeowners with high quality garage door repair services that cover everything from broken torsion springs to damaged opener trolley and more. Read more here. 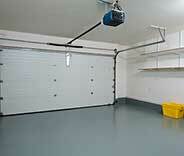 We can provide you with the help you need when your garage door encounters any kind of problem. 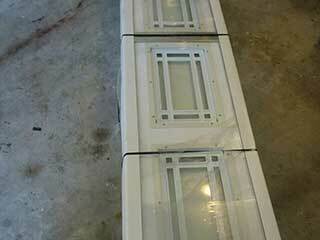 Have perfectly operating garage door openers at all times with our professional repair services. Our esteemed company provides customers with wide variety of service packages catered to suit your immediate garage door maintenance needs. 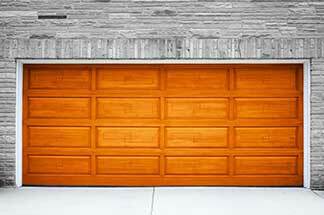 Owning a garage door can be a real treat, especially if it's automated. Not having to physically move the door every morning just to get your car out is something you don't really appreciate until you're no longer forced to do it; and let's not even talk about when you return home. Unfortunately, this type of system isn't invulnerable, and some problems can arise, especially the older it gets. But our team is here to tell you that you needn't worry. 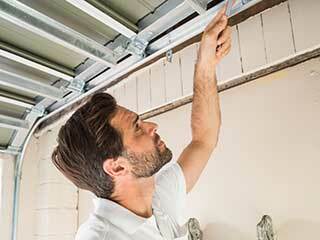 If you live anywhere nearby, you just found the best garage door technicians around. This isn't our first day on the job. Oh, no. Garage Door Repair Sandy has been repairing and installing automatic garage door systems for the better part of a decade. Matter of fact, come to think of it, it's actually been a decade, and a little longer even. Time sure does fly. But anyway, if you discover something's wrong with your door, and you want to the best technicians around to help you out without charging you the equivalent of a second mortgage to do so, then look no further than our team. Many residents of Draper and South Jordan and all the surrounding areas already know how professional and fast our technicians are, but if you've yet to have had the pleasure, by all means, give us a call. It doesn't matter which part of your door breaks down unexpectedly. Our repair specialists know exactly how to solve anything from spring tension adjustment to complete panel replacement. Naturally, there are all sorts of things that can go wrong, as is often the case when dealing with such a large mechanical system. But you can rest assured that there's no problem our team can't solve. 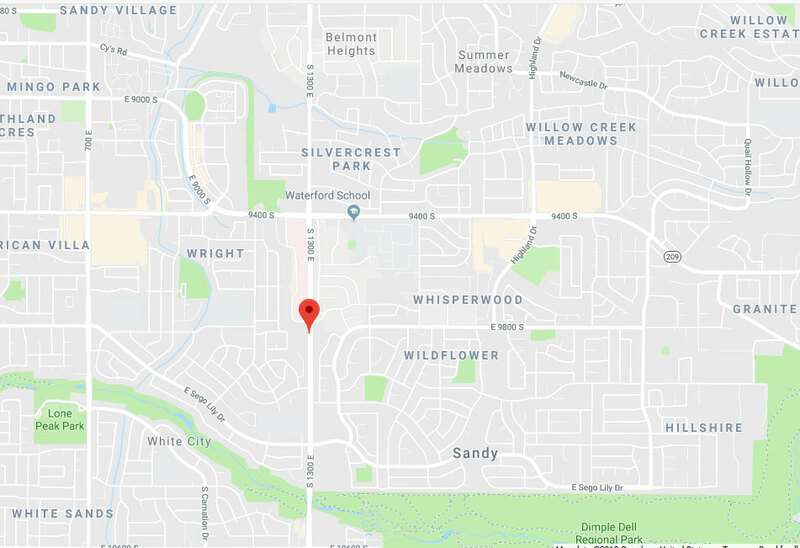 Whether you live in Cottonwood Heights or closer to West Jordan doesn't matter to us. While Garage Door Repair Sandy doesn't service the entire Utah area, if your home is anywhere near Sandy, our technicians can get to you and help you with any garage door related issue you may have. Our experts possess the necessary skills and experience to safely repair or replace anything from broken springs to bent tracks and even entire panels. 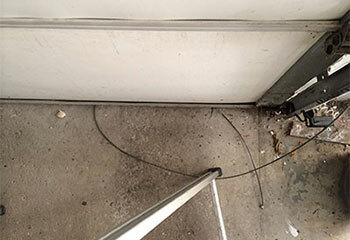 It's incredibly important that you leave complex problems to our experts, as there are many real dangerous when it comes to fixing or installing garage door systems, and amateur DIY repair attempts can quickly lead to serious injuries. Every local homeowner can depend on our team for help when something goes wrong with their garage door or its electric opener. But our experts do more than just repair problems. If you're looking to get a new system installed, our team can provide all the consultation you need and answer any questions you may have. Then, once our experts help you find the perfect new door or opener for your needs, our team will complete the installation process and make sure that everything is properly connected and that your new system functions completely problem-free from day one. So, if you encounter any type of problem with your door, or decide to upgrade any of its parts, get in touch with Garage Door Repair Sandy and get help from the best service specialists around. Our company understands that it’s frustrating when your garage door doesn’t work and we make it a top priority to get it repaired quickly. 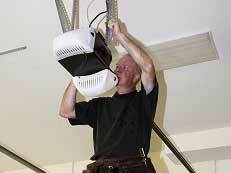 That’s why we hire only the most talented technicians who have the skills to carry out a range of repairs within a day. Whether you need troubleshooting for your garage opener, broken springs to be replaced, or even an annual maintenance check, we’re ready to help you. Try us, and see why we have a great reputation in Sandy. Get the fastest response when you schedule online now. Discover our latest projects to get an idea of how our garage door repair and replacement services in Sandy work in real life. Mr. Hansen's garage door was stuck about half-way up and would no longer move. Read more about our visit here. Mr. Bishop's garage door would not open after a neighbor's car backed into it. Read about all of the details here. One of our clients in Sandy called us to realign their garage door sensor, and we did it in no time at all! If you're living in Sandy and looking for a new garage door, call our team! Click here to see how we helped this customer. No opener lasts forever. When yours is giving you trouble – we are just a phone call away! I must thank you all so much for your help with my broken spring. Your company was so easy to find and work with! Such great service! Thank you! 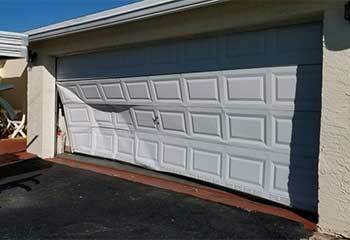 I had such an excellent experience dealing with your company when our garage door wouldn't move. Thank you so much for the fast response! I am so happy that I found your company online. You have done such a great job installing our new garage door. The process was easy and fairly priced. Thank you!